Slippery Rock Community Farmers Market is returning to downtown Slippery Rock for the 2018 season. 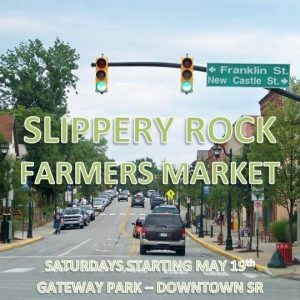 The market will open on Saturday, May 19 in Slippery Rock’s Gateway Park downtown, along Route 108 between Elm and South Main streets. Seasonal, local produce, plants, and handmade goods will be offered from 9:00 a.m. until noon every Saturday through October. Vegetable, fruit and flower seedlings and plants for transplanting into gardens and landscape beds will be featured at the beginning of the market season. 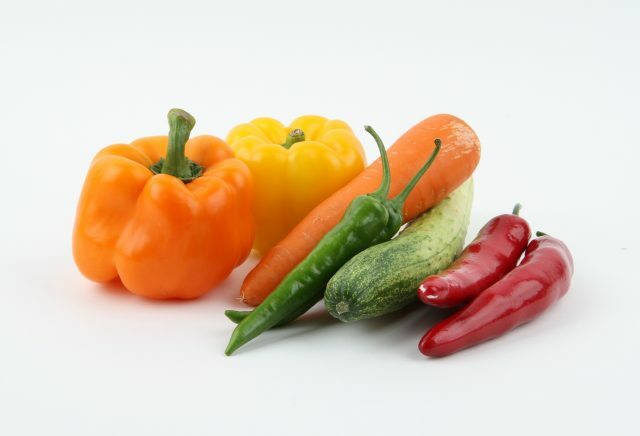 Because all produce offered at the market is locally grown, shoppers might expect to find early spring greens, herbs, radishes, asparagus, and rhubarb, as these mature during May. Vendors also will offer a variety of fresh and preserved foods, including grass-finished beef, eggs, goat milk fudge, jellies, breads and other baked goods. Unique handcrafted items, such as natural soaps, hair and skin products, knit items, jewelry and decorative pieces will be available as well. Having been at Rock Falls Park since 2011, the market will be sponsored by Slippery Rock Development, Inc. this year. The change in location will afford exciting opportunities to partner with local businesses and to maintain the market’s reputation as a friendly, community gathering place, said Becky Lubold, market manager. New vendors are welcome and are encouraged to contact srcfarmersmarket@gmail.com for more information. You can also contact Becky Lubold via 814-330-2550 or e-mail watersinger2@yahoo.com.